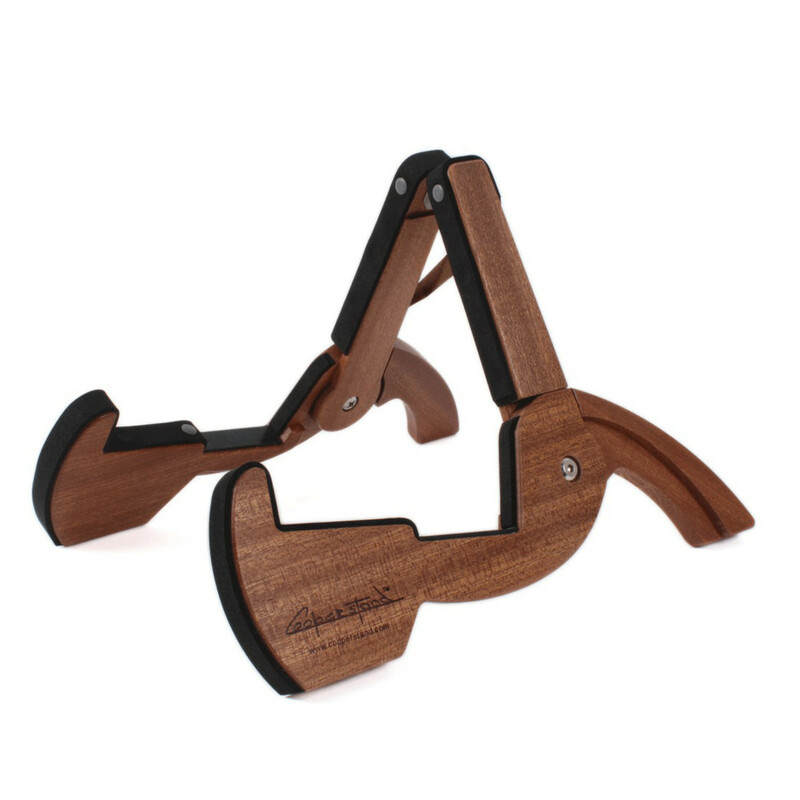 The Cooperstand CS-1 Guitar Stand is a uniquely designed compact, sturdy and extremely portable instrument stand that is compatible with electric, acoustic and bass guitars, ukulele, mandolins, banjos and even violins. 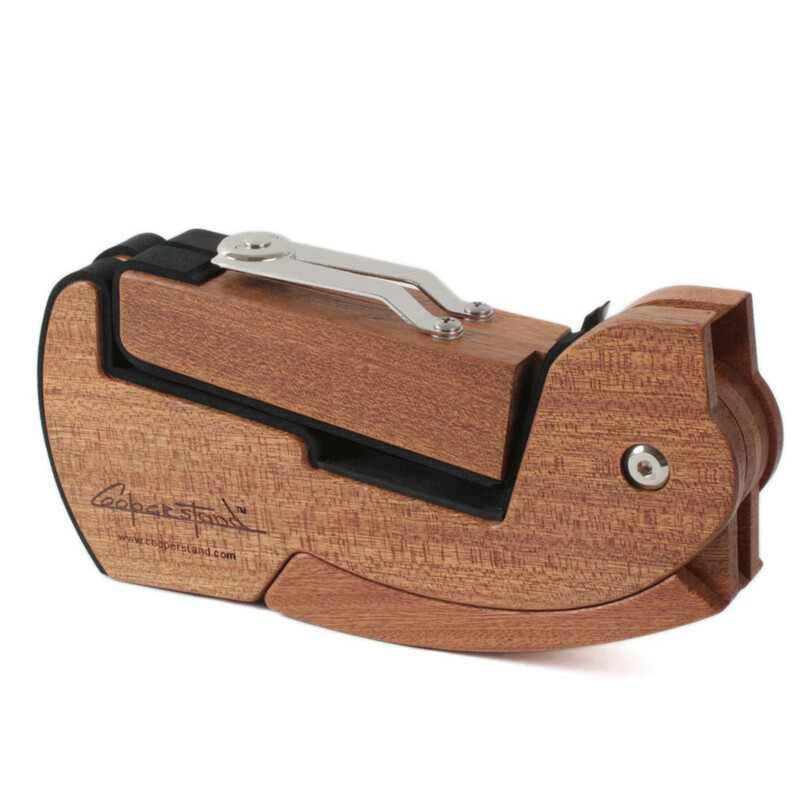 Constructed from sustainable African Sapele hardwood for a robust design and finished with neoprene padding for instrument protection and grip the Cooperstand CS-1 employs 4 contact points with the ground allowing a lower center of gravity providing for a sturdy yet compact stand. 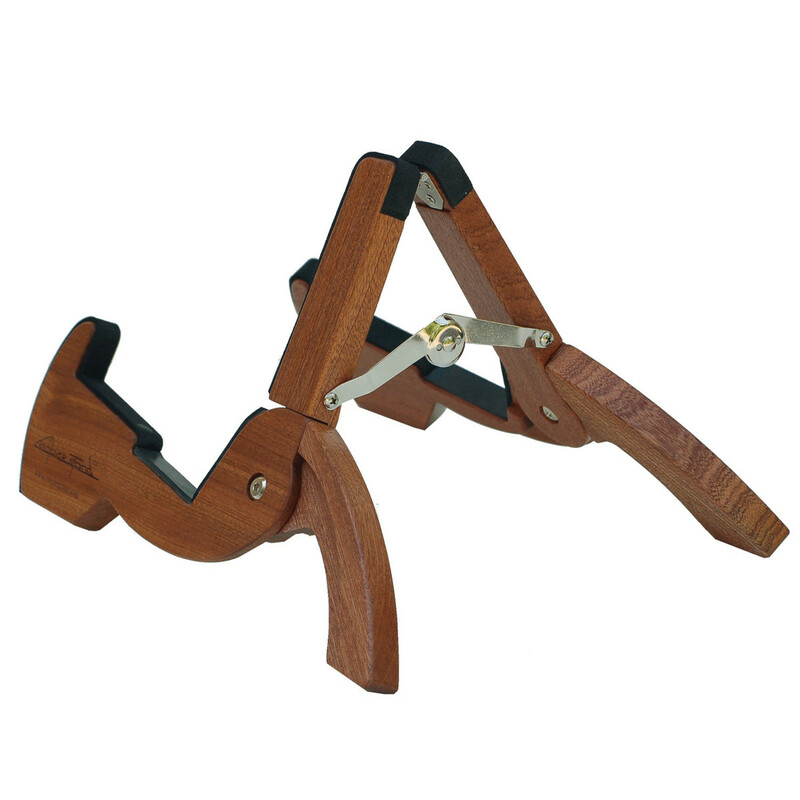 Folded Dimensions: 8.75" x 4.5" x 1.5"